News — Jeff Wilkinson, R.A. 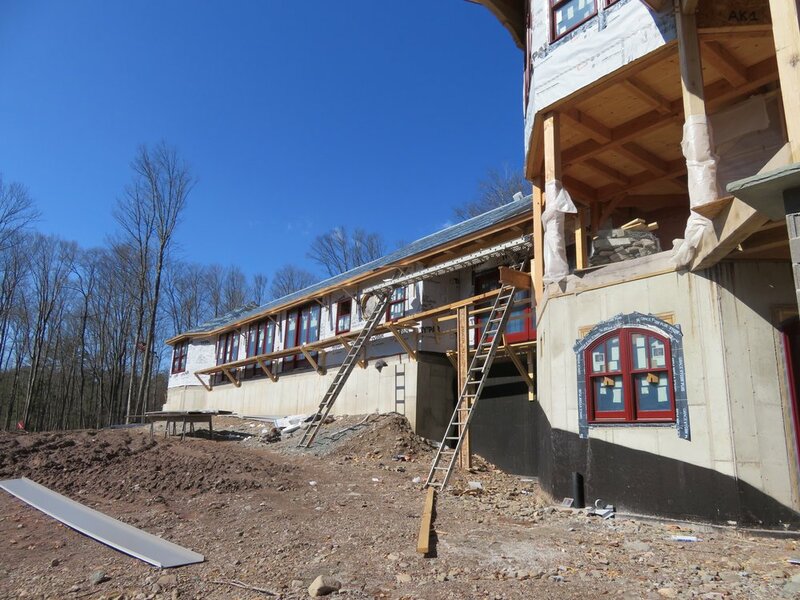 The Design and Construction of a new timber frame lodge on a 400-acre forest preserve overlooking a mountain stream. The building program consists of a main house with a great room and enclosed porches, a master bedroom suite, guest wing and attached spa and lap pool. Accessory structures will incorporate wood harvested from the site. The primary heat source incorporates a Fröling wood boiler using wood from the Owner’s manages wood lot. Accessory structures will incorporate wood harvested from the site. The primary heat source incorporates a Fröling wood boiler using wood from the Owner’s manages wood lot. In conjunction with Michael Van Valkenburgh Landscape Architect. Consisting of a 1000 S.f. residence over a garage and storage area the private residence is nestled into a hillside and captures amazing views of the Hudson Highlands. 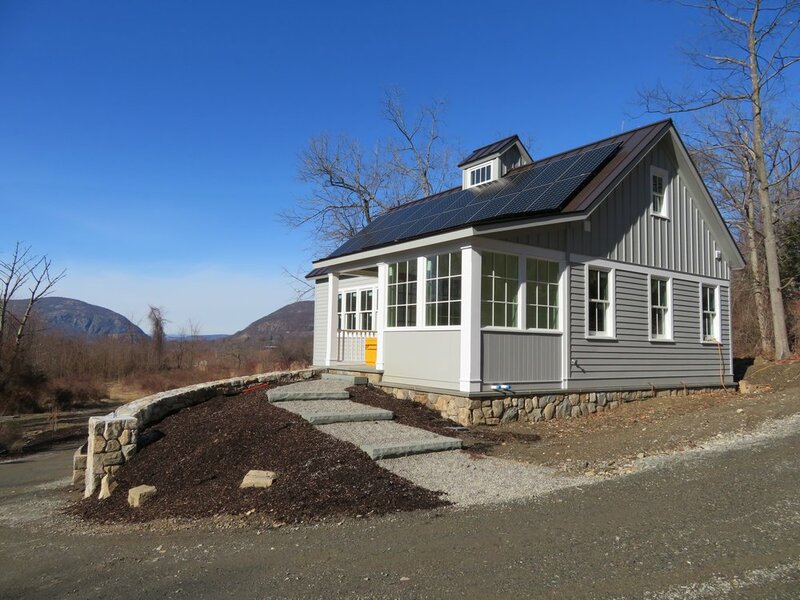 The small home will be kept off of the power grid and will employ a 10KW solar panel array with a back up battery system. 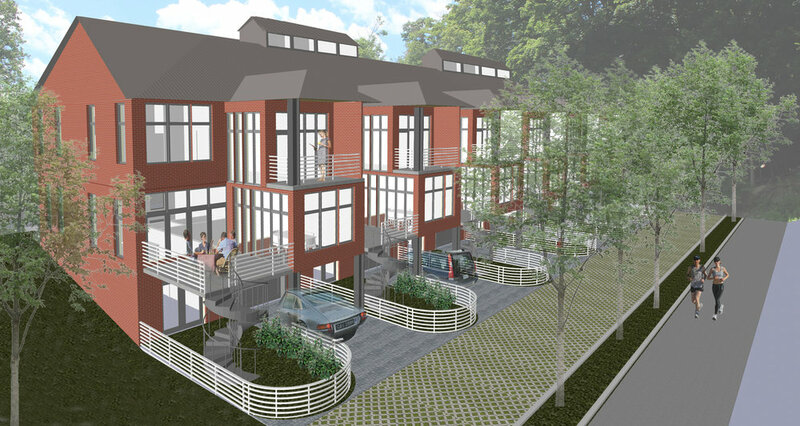 Site stone will be incorporated the foundation and retaining walls. A clerestory and screened porch will create a chimney effect to enhance natural cooling. Known locally as “Guinan’s”, #7 Garrison Landing was originally built as a utility barn for the railroad. In the 1920’s it was turned into a boarding house and tavern and for many years was operated by the Guinan family as recounted in the book Little Chapel on the River. 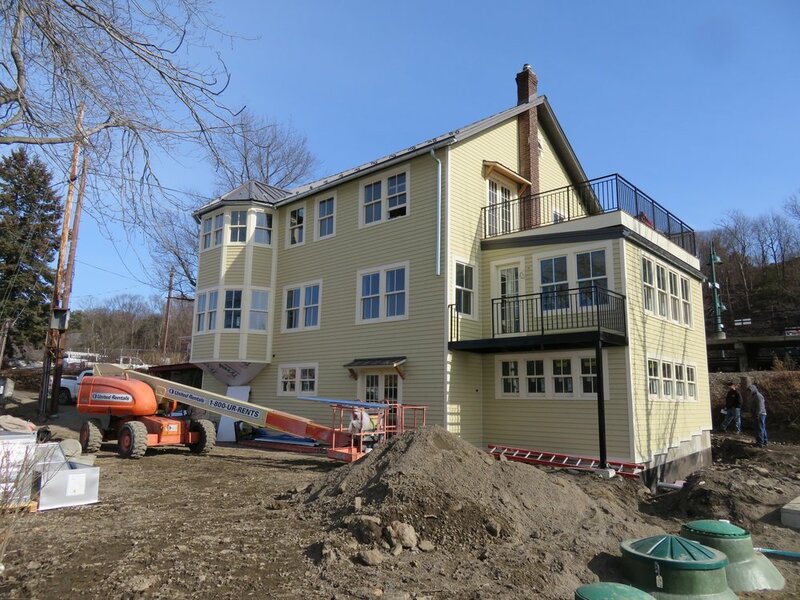 The extensive renovation involves constructing a flood resistant foundation, installing an on site sewage system and renovating the timber and wood framed structure to house 2 apartments over a new restaurant/tavern. One of the mainstay businesses of Beacon, NY, Hudson Beach Glass is planning an expansion of its existing glass blowing facility. The enlarged studio will incorporate second story offices as well as a roof top terrace to enhance the second floor gallery and exhibition space. Designed for the Safe Harbors Park at the corner of Liberty and Broadway in the heart of Newburgh, NY’s historic district. The park benches are built from locally harvested black locust and thermory ash with mortised and tenoned white oak back supports.